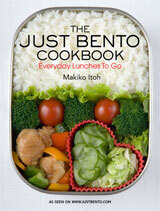 Home»Happy Valentine's Day from Japan! Happy Valentine's Day to you from Japan! As I've reported here previously, Valentine's Day is a huge, serious, and often rather ridiculous day here, and it seems to get wackier every year. I saw a report on a local news program here the other day about the new trendy chocolate packages this year, such as chocolates for female bosses to give to their male underlings to tell them to 'hang in there' and to 'be more of a man' (apparently these are intended especially for soushoku otoko or "herbivore men" (or in other words men who are not manly enough to eat meat...not necessarily referring to vegetarians). Another one which I thought was hilarious is the "Propose To Me Or Else" chocolate gift set; it contains a fake diamond engagement ring with a note that says "I'll be expecting a real one of these soon", a card that says "Good until" with place to write a date in, and oh yes some chocolates. They are made by a famous confectionery maker or okashiya (お菓子屋　- maker of sweet things) based in the historic town of Kamakura called Toshimaya (Japanese-only website). Besides Kamakura, they have stalls or counters in several department store food halls in the Tokyo/Kanagawa area. 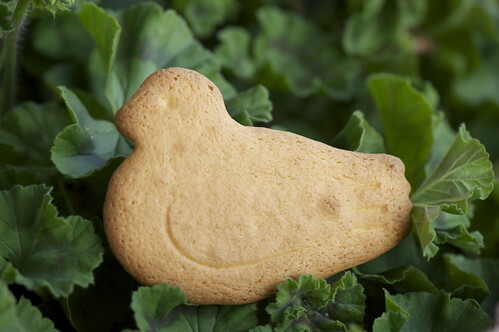 Their main claim to fame is this, a light, buttery cookie called Hato (dove or pigeon) Sablé (鳩サブレー). 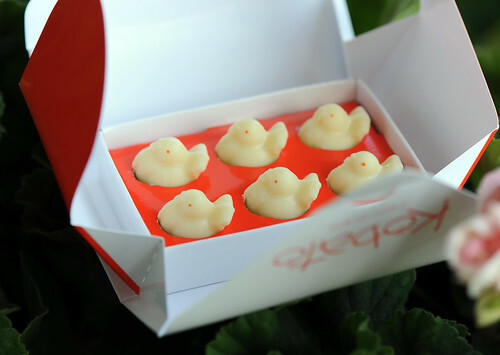 It too is adorable, though expensive at about 100 yen per cookie. Anyway, I hope that Valentine's Day is as sweet for you as you want it to be! Submitted by maki on 2010-02-13 19:38. Re: Happy Valentine's Day from Japan! Happy valentines to you too! I'm making borsch for tomorrow - always tastes better the next day. Crimson passion in a bowl for my own sweetheart. Note to everyone: Googling "hiyoko" with safe search of is not safe for work! How embarrassing! I'm so sorry! BTW, how is your mother doing? Maki: Thank you so much for all of your delightful blog entries and photographs,not just the ones from Japan, although they have been superb. I have been sharing these recent treasures with my daughter to her delight as well. 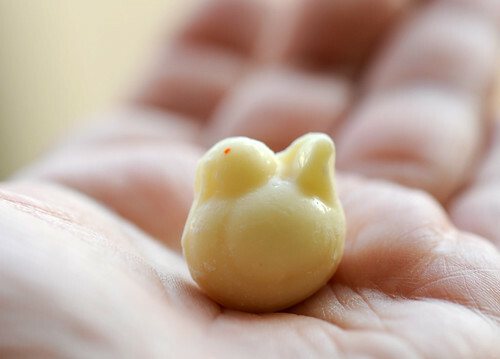 I just came back from Japan a couple of weeks ago and had gone to Kamakura and had 鳩サブレー What delightful cookies! I wish I could eat some now, I wonder if they sell them in the United States somewhere? Hope you're doing well and enjoying time in Japan. Best to you and your family! OH MY GOD IT'S MY COOKIE!! Hi Happy valentine to you too. I was looking for japanese peanut recepie, but unfortunatly I couldn't find any online. I was wondering if you can help me to find it. What sort of peanut recipe are you after? There are quite a few. Chiba in particular is noted for peanut production and they have several kinds, from peanut amanatto and peanut mochi to peanut rice and peanut pie. my female colleagues and I here in Miyazaki are dying to know what the 'man appu choco' looked like! Maybe it was just a Kanto thing?? those are really cute chocolates! I think they would be my favorites too! As far as I know Tokyo Hiyoko is only sold in Japan.